A large patch was made available for ARK: Survival Evolved this week, featuring gameplay tweaks and new creatures added to the world. Check out the info below along with a new trailer that showcases the update. Electrophorus Beluadomito – A species of Knifefish, Electrophorus uses an electrical charge to zap its prey, bringing down smaller fish and eels. 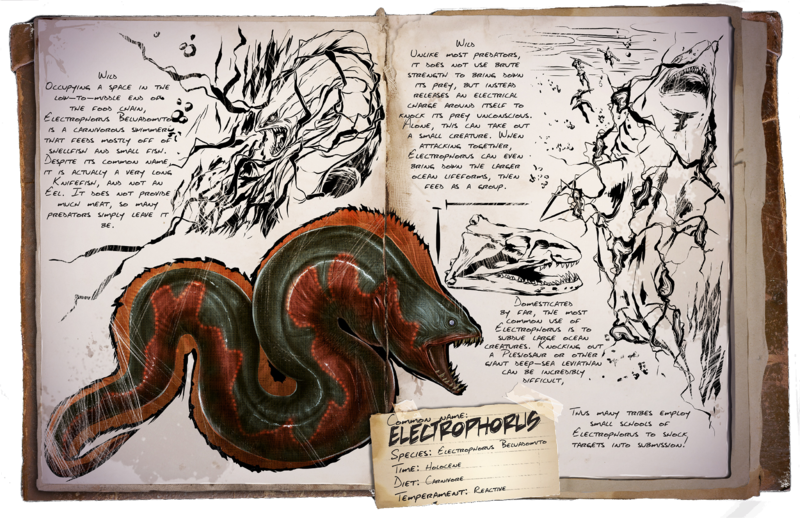 Tribes have been known to capture and tame schools of Electrophorus in order to use them for taking down larger aquatic animals. Microraptor Gnarilongus – Resembling a bird with a reptilian face, Microraptor is a vicious predator that is instantly aggressive to anything its size or smaller (including humans). 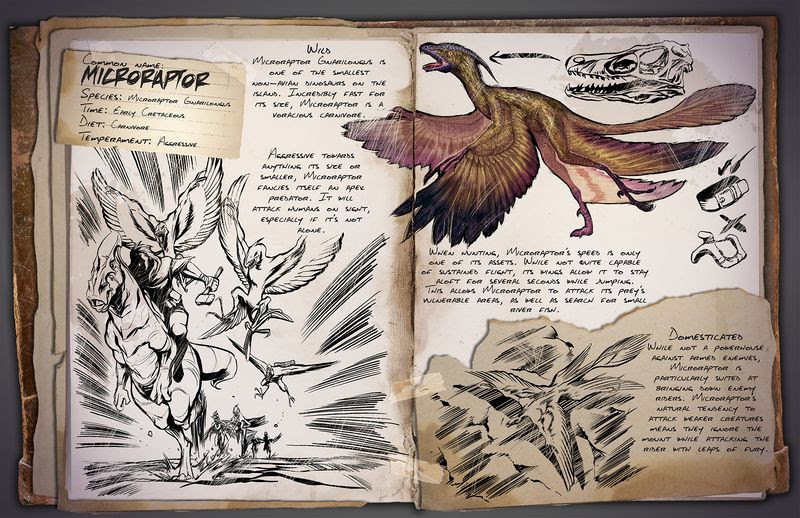 Able to jump, run and do short glides, Microraptor is incredibly dangerous alone or in packs, and when trained, they can even take riders right out of their saddles during combat. Ammonitina Multiamicus – One of the more unique creatures of the sea, the Ammonite resembles a nautilus, but much bigger. 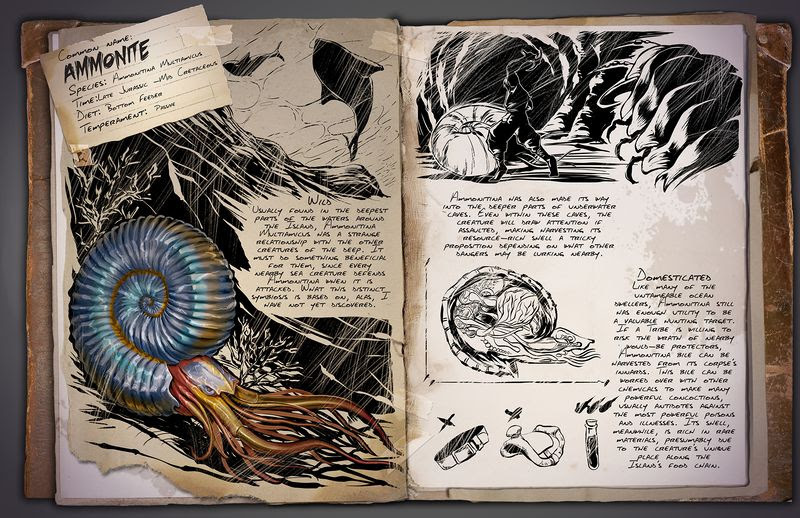 For unknown reasons, an attack on an Ammonite brings forth the wrath of all neighboring sea creatures, who will fervently defend it. This makes it a challenge to kill one, though the rewards are often worth it – the shell itself is valuable (as it is rare) and the bile can be used to concoct a unique new pheromone dart. 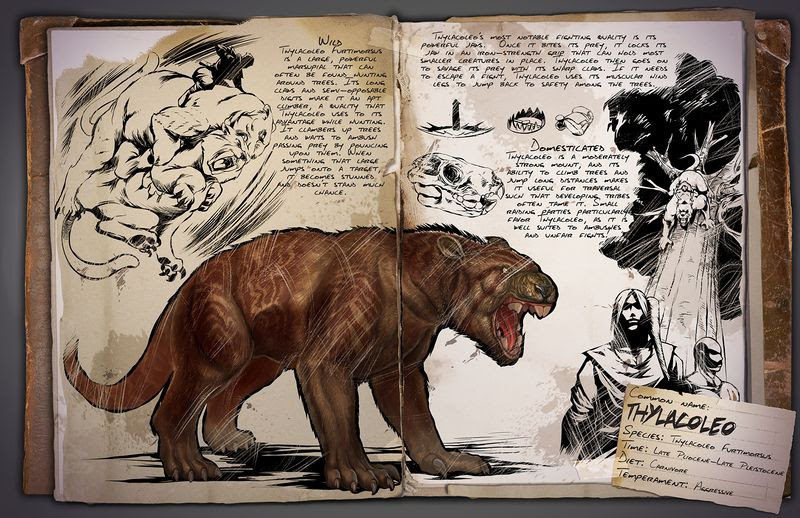 Thylacoleo Furtimorsus – Also known as the “marsupial lion”, Thylacoleo is a powerful predator native to the island’s redwood forests. A strong bite – the strongest of any land mammal – and bolt cutter-like teeth, make this creature a formidable ambush predator, leaping from above to crush the necks of its prey.